Exclusively Ours! 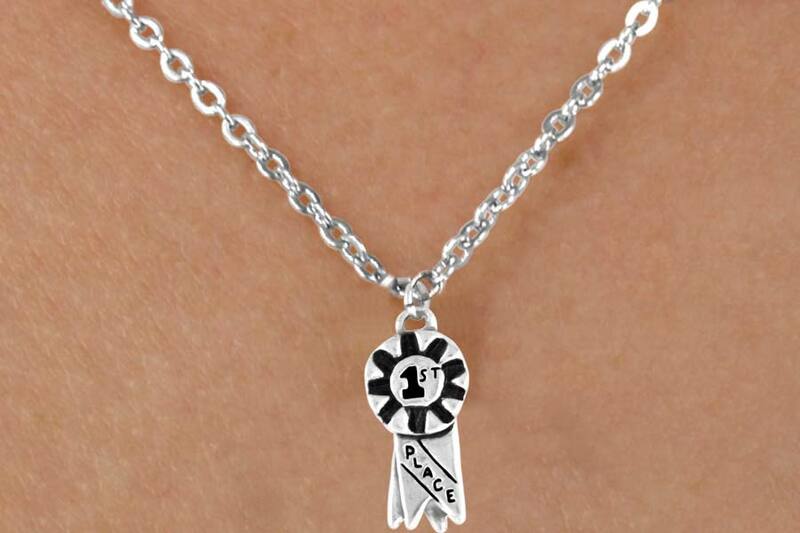 Lead & Nickel Free "1st Place" Ribbon Comes On A Necklace Style Of Your Choice: Ball Chain, Regular Chain, Black Suede Leatherette, Or Brown Suede Leatherette. 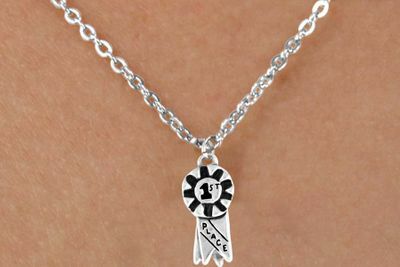 Charm Measures 3/4"L x 3/8"W.
Add Up To Two Inspirational Charms For $2.50 Each! Scroll To The Bottom To See Views Of Charm Options!